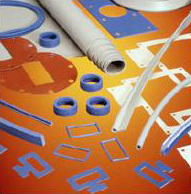 For over 47 years, Niantic Seal has developed and refined our performance materials product line. We continue to evaluate new products to meet the current demand of today's technology. No matter what your sealing design requires, whether it is critical or non-critical, you can be confident Niantic Seal will provide the right product to meet your needs.